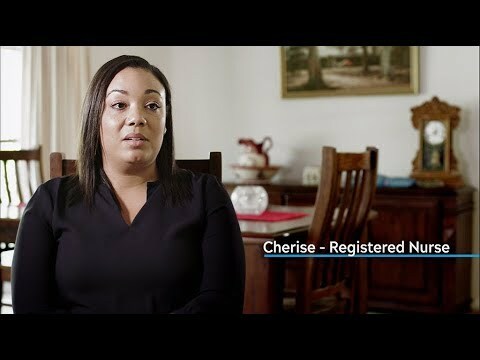 Cherise is a registered nurse who works in aged care and also has her grandmother as a resident. 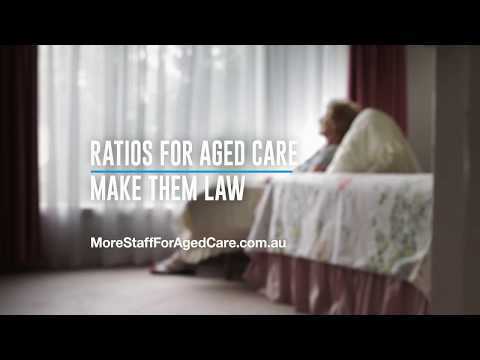 She knows firsthand that we need More Staff For Aged Care by making aged care ratios law, now. From the National Day of Action, registered nurse Wendy talks about the importance of Penalty rates. 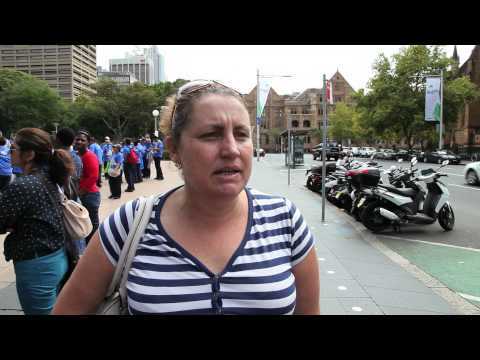 From the National Day of Action, registered nurse Donna talks about the importance of penalty rates. 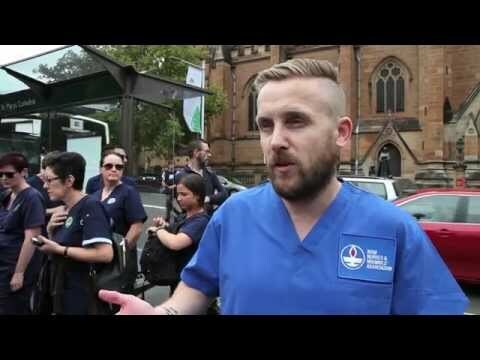 From the National day of Action, registered nurse Martin talks about the importance of penalty rates. Registered Nurse Rachel White speaking on penalty rates at the National Day of Action on March 4th 2015. 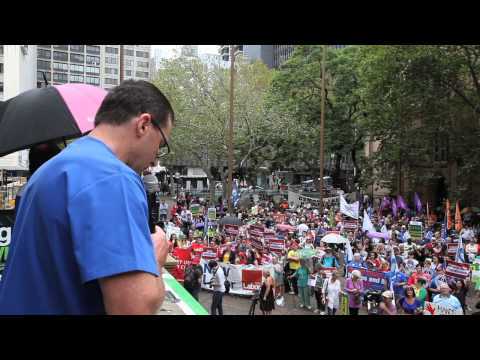 ANMF Federal Secretary Lee Thomas speaking at the National Day of Action in Melbourne on March 4th 2015. 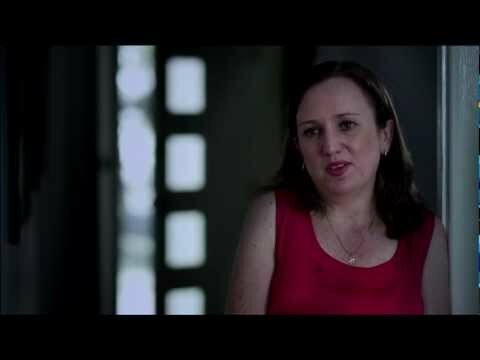 How do nurses and midwives feel about their penalty rates? Nurses and midwives speaking on how they feel about their penalty rates at the National Day of Action on March 4th 2015. As part of our activities for the G20 World Leaders Summit in Brisbane, the QNU is joining forces with the NSW Nurses and Midwives Association calling for Australia to adopt the ‘Robin Hood Tax’. Governments must fund public health care for all. A right not a privilege. 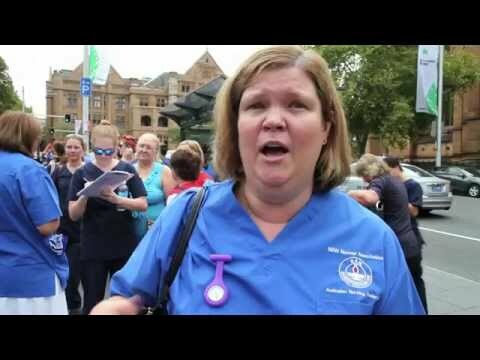 Nurses and midwives marched on 31 August 2014 to show their dissatisfaction with the current Abbott government. Coral Levett, NSNMA President, spoke passionately about the threats to Medicare and our public health system. Video of the Keep SA Healthy Rally on June 6. 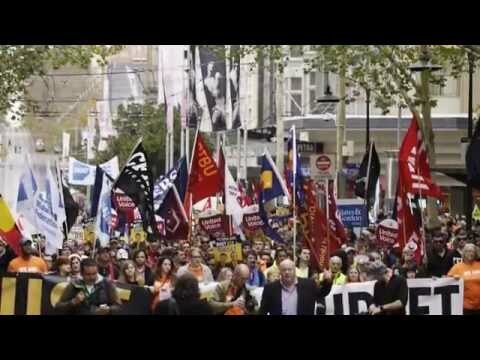 Excerpts from Australian Nursing and Midwifery Federation Victoria Branch Secretary Lisa Fitzpatrick delivering a call to action speech to approximately 20,000 protestors in Melbourne, 12th of June 2014. The Coalition Government is floating the idea of a co-payment for every visit to a GP - but this is undoubtedly just the beginning of their plan to dismantle Medicare and invite private insurers in. Hundreds gathered at Sydney Town Hall on a rainy Saturday to defend Medicare. Mothers and babies came together to celebrate Medicare and wish it many happy returns. 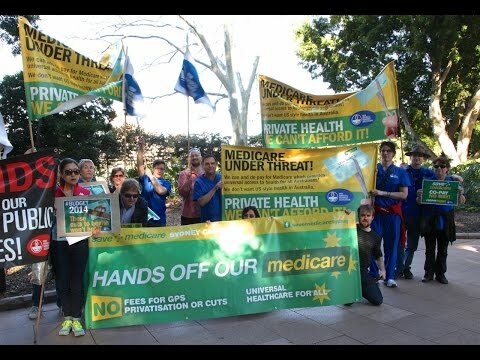 Acting General Secretary of the NSW Nurses and Midwives' Association (NSWNMA), Judith Kiejda, noted that it is vital to protect Medicare from being dismantled, especially on behalf of future Australians. Help Us Create A Better Future For Australia. Education is the key to curing just about every social-economic-global problem, yet Australia has a school attendance rate of only 92 per cent. 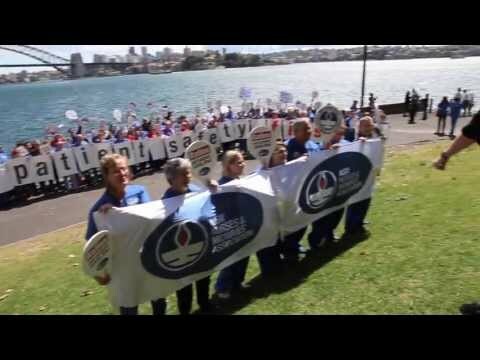 September 17th 2013, is the first Global Day of Action organised by Global Nurses United (GNU), made up of nurse and midwifery unions from 14 nations, including the NSWNMA. In Sydney we made our presence felt outside Parliament House, then took to the Harbour to deliver our message against a stunning backdrop. 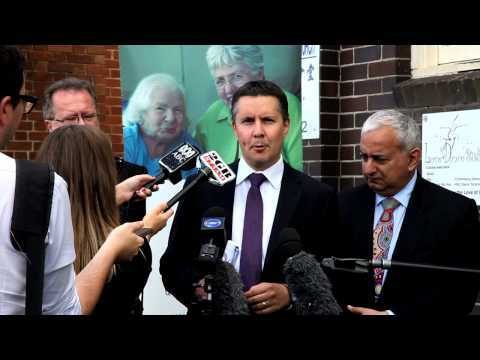 Minister for Ageing Mark Butler announces that the federal Government will provide up to $1.2 billion to raise the wages of aged care workers. ANF Federal Secretary Lee Thomas congratulates the Gillard Government and Minister for Ageing Mark Butler on the Aged Care Workforce Compact which will start delivering an urgently-needed $1.2 billion funding injection for Australia's aged care nursing and care staff. Neonatal intensive care units (NICUs) do not have the same level of mandated nurse-patient numbers as their adult equivalents. Yet it is critically important to have the right number of nurses for these tiny babies.